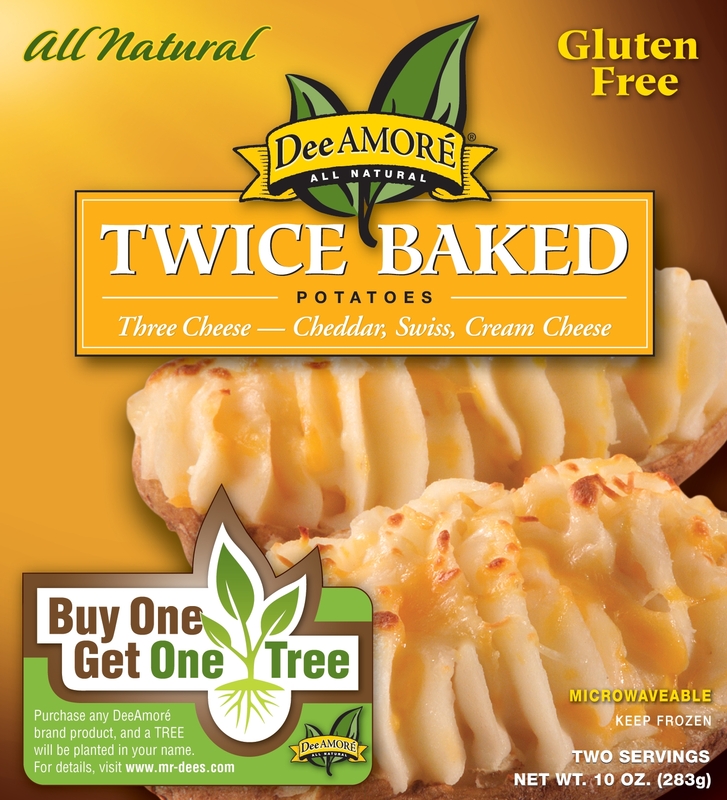 Our Twice Baked Potatoes are all natural, easy to prepare, and certified gluten free. Made with quality Idaho potatoes and no artificial ingredients, they're a better-for-you and convenient way to enjoy a classic family favorite. Each box comes with two servings and can be prepared in a conventional oven, in the microwave or on the grill. The Three Cheese variety is made with cheddar, swiss and cream cheese. Available in retail (10 oz.) size. POTATO, WHOLE MILK, CREAM CHEESE (PASTEURIZED MILK AND CREAM, WHEY PROTEIN CONCENTRATE, CHEESE CULTURE, SALT, WATER, CAROB BEAN GUM), CHEDDAR CHEESE (MILK CULTURES, ENZYMES, SALT), SWISS CHEESE (MILK CULTURES, ENZYMES, SALT), BUTTER, SALT, NATURAL CHEDDAR CHEESE FLAVORING, ONION POWDER, XANTHAN GUM, BLACK PEPPER, WHITE PEPPER.